Kara's awesome post on A Charlie Brown Christmas inspired me to write about my favorite Christmas movies. We've already watched National Lampoon's Christmas Vacation three times this year, and we'll probably watch it again during at least one of our family Christmases. I love it so much I made Christmas cards based on some of my favorite quotes. Well, I want to share the love with you guys. Here are a few things you probably never knew about Clark and the Griswold family. 1. The Capra family must have Christmas in their genes - the assistant director of Christmas Vacation, Frank Capra III, is the grandson of the legendary Frank Capra, who directed It's a Wonderful Life. The part where Clark "fixes" the newel post by sawing it off with a chainsaw is an homage to his grandfather's movie "“ the newel post at the Bailey's house was also loose. Also, Russ is watching It's a Wonderful Life on TV when his grandparents arrive. 3. You gotta love/hate cousin Eddie. He's just so deliciously white trash. Eddie's "dress clothes" "“ a white sweater with a black dickey, with the dickey very obviously showing through the sweater "“ was Randy Quaid's wife's idea. A genius detail. Cousin Eddie went on to star in his own made-for-TV Christmas Vacation - Cousin Eddie's Island Adventure. Haven't seen it; heard it was awful. I have to admit, the beauty of Cousin Eddie is that you get him in little doses. A whole Cousin Eddie movie would be a bit much, I think. 4. I can always relate to the scene where the two grandpas are asleep in the armchairs while the Christmas parade is on T.V. in the background. This always happens at our Thanksgivings and Christmases "“ grandpas, dads, uncles. What makes the scene even funnier is that the actors who played the grandpas were really both asleep. 5. Aunt Bethany ("Is your house on fire, Clark? ") is played by Mae Questel, the voice of Betty Boop and Olive Oyl. Christmas Vacation was her last movie. 6. Being from the Midwest, Friends and I always laugh when we see the Griswolds driving to get their Christmas tree at the beginning of the movie. Check out the large mountains in the scenery. I don't know about you guys, but I've never seen mountains like that in these parts. Turns out this part of the film was shot in Breckenridge, Colorado, which makes much more sense. The house scenes were shot on set in California. This is evident during outdoor scenes "“ you never see any of the cast's breath when they are standing around waiting for Clark to show them the lights on the house. There are also a few shots where you see non-evergreen trees with full leaves and no snow on them. "They want you to say grace. THE BLESSING. " - Uncle Lewis (complete with finger gesturing, of course). 8. The kids in Christmas Vacation (Juliette Lewis and Johnny Galecki) are the third set of kids. The first Audrey and Rusty were Dana Barron and Anthony Michael Hall in Vacation, the second are Dana Hill and Jason Lively. When Vegas Vacation was released n 1997, the kids were played by Marisol Nichols and Ethan Embry. 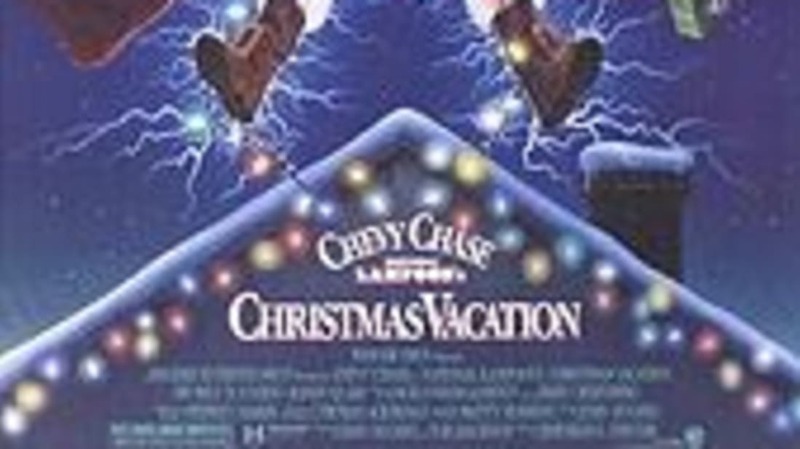 Do you love Christmas Vacation or hate it? What's your favorite part?